I love visiting wineries. We have a lot in California too, of course, but different places have such wonderful offerings too. Oh my goodness! 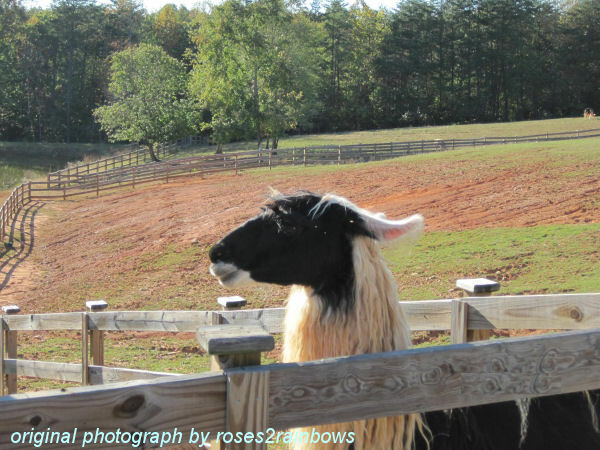 The expression in the close-up of the llama is beyond priceless! Looks like a fablous place to be wine tasting! Oh that sounds like a fun way to spend the day. 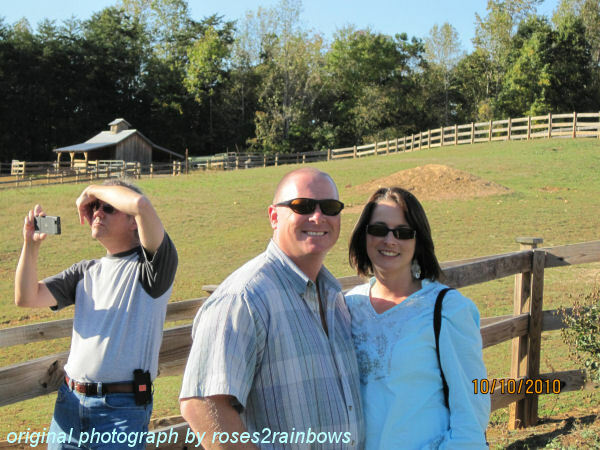 You can't beat sunshine, critters, wine and photo opportunities. 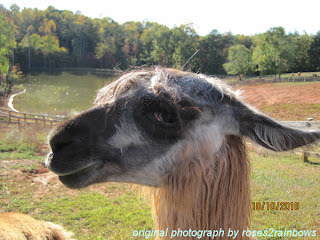 Linda -- That close up of llama is so funny. It's a face that only the mother could love. I'm not so fond of llamas as one spit on me at a petting zoo once. YUCK!!! On the other hand, this llama looks like he's saying, "hey there lady...ya wanta dance with me?" Linda- I would love to visit the wineries in California. I am a big fan of Cali Cabs and KJ Chardonnay NC is up and coming though. I think we will have the best success with white here, particularly Vognier. Hilary- It was most excellent. Good friends, nature, good wine and an absolutely gorgeous fall day. Sara- Hey, I thought they were cute. Sorry you had such an experience. I heard camels spit on people. The birds will love the grapes. We stopped and had a few on the way out, too. I was impressed with their wines. 12,000 -- wow, a lot of work in that. I love all these pics, Linda. 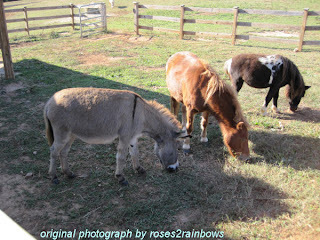 Hi Linda .. what a great place .. love the pictures .. the Llama .. or is he the Burro? He /She looks real sparky ..
Jannie- Yeah, that is a lot for a small winery. They also use the "llama beans" as they call them for fertilizer, too. Hilary- There are two pics of individual llamas and a pic showing two miniature horses and the burro (the one with the stripe down his side). They are all adorable to me.